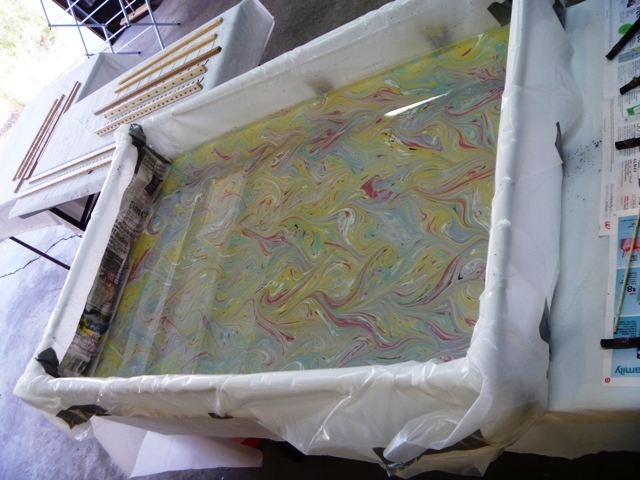 I marbled BIG SHEETS today in the semi-monster tank I built this past weekend for said sheets. How big? 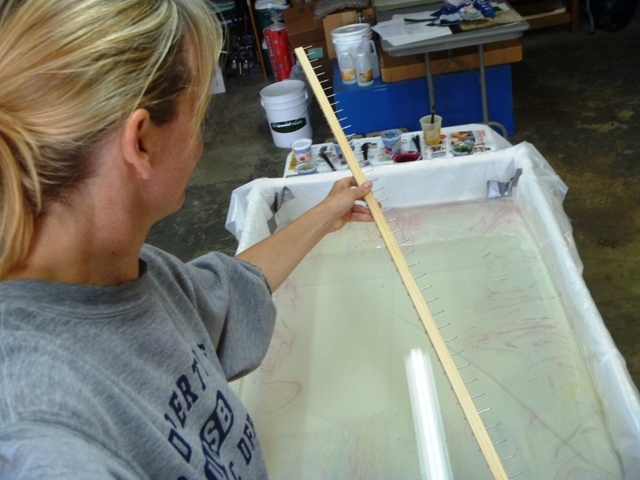 The paper is 25" x 40" which means my tank is roughly 30" x 45". That is over 2.5-feet wide by almost 4-feet tall! 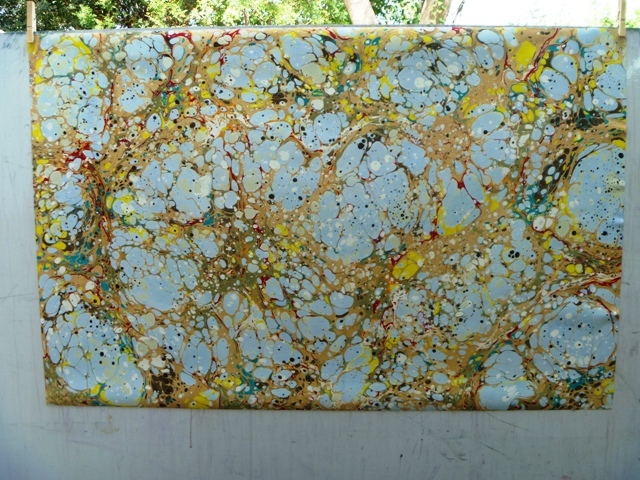 As most of you know, I marble primarily in two tank sizes: 20" x 25" and 11" x 14". So yeah, this is BIG, this is DIFFERENT, and this is FUN!! Insanely fun. 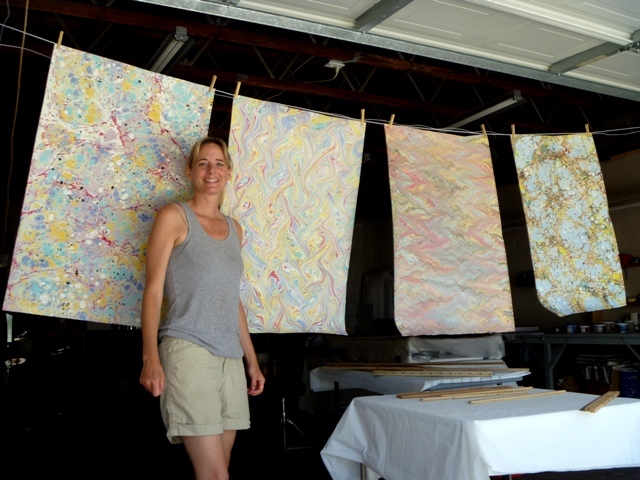 I've marbled large before but only on fabric. And it was more long and narrow than longish and wide-ish. Somehow this paper experience didn't feel the same as the fabric experience. It's hard to explain why...you're just going to have to trust me on this one. 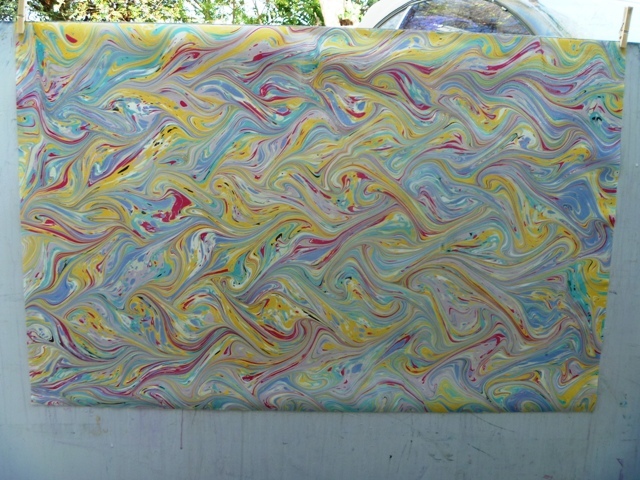 The biggest challenge in working LARGE comes when you're marbling alone. It means you're trying to lay down this huge piece of paper in the bath in one, smooth, continuous motion without trapping air bubbles or getting kinks and hesitation marks on the paper. 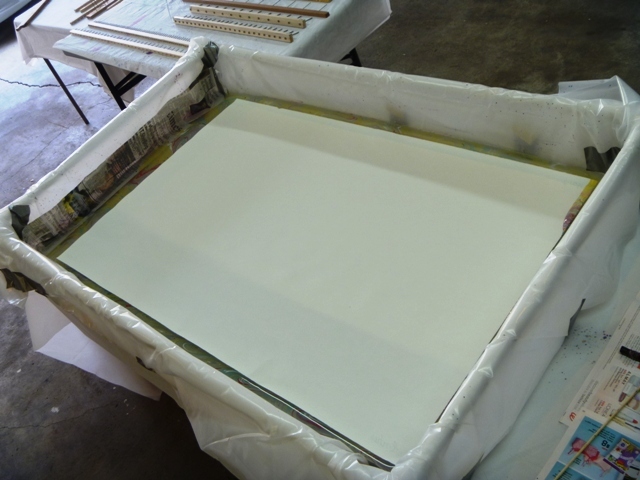 Not an easy task on regular sheets of paper, let alone something this size! An extra set of hands would help. But it was just me today, so I wrestled the paper into submission the best I could. I did manage to get most pieces out of the bath without those pesky paper-laying problems though. However, my friend, Steve, is coming over tomorrow and it will be nice to have an extra set of hands to lay down paper (and some fabric!). We'll have both this tank and the 20x25 tank set up to play in. 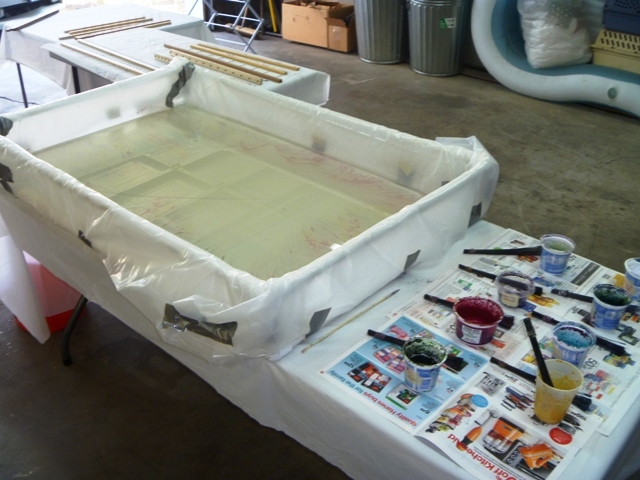 It's going to be double the trouble, double the fun in the studio tomorrow!